The family of missing cyclist Samuel Campbell have issued a fresh appeal for information on his whereabouts. Campbell, 49, left his home in Kells, County Antrim for a bike ride on New Year’s Day at around 1pm, but did not return home. His bike was found two days later on a beach at Glenarm, but there was no sign of Campbell. An extensive search followed on land and sea, but no further clues were uncovered. Campbell was wearing black cycling tights, a dark grey woolly hat and a red and black top with the lettering TCG. He was on a white and black road bike. Campbell’s brother David and daughter Samantha held a press conference on Monday morning appealing for information about the incident. “With this appeal we are trying to keep up the awareness that he is still missing and appealing that if anyone has any information no matter how small they think it is, please contact the police,” said Samantha Campbell. Campbell’s family also thanked the police and coastguard for their search efforts. 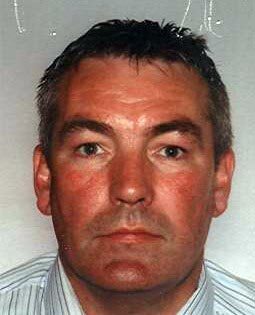 Anyone with any information on Samuel Campbell’s whereabouts can contact Ballymena CID on 0845 600 8000.